Do you like guns? Jim, put your hand down. Do you like explosions? Jim - it's ok, really. Do you like large scale tactical warfare set in a giant open world. Yes Jim, we know. Codemasters announced today the official release date for Operation Flashpoint 2: Dragon Rising. The game will hit the PC, 360, and PlayStation 3 on October 6th in North America and Europe on October 9th. 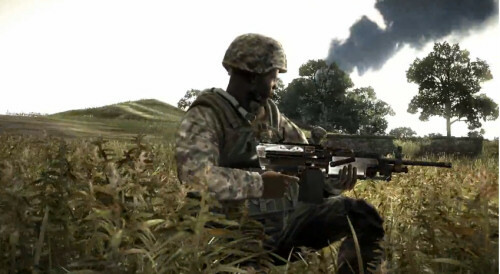 Operation Flashpoint 2 promises some intense four player co-op action set in a modern day fictional war. The latest video of the game shows lots of bullets flying, and lots of things blowing up. Sounds like your average day in the tactical shooter world. You can count on finding this game showing up in a future Battlefield Report.